For those dedicated to car audio, bass is a crucial part of any sound system. The subwoofer set-up usually commands a large amount of the total budget and is the hardest element to fit into a build due to size constraints. The truth is that many components can be bought cheaply but failing to invest properly in your subs and power wiring will result in weak, poorly staged bass at best and complete sound failure at worst. Because of the importance of bass within any reputable car audio system, it’s an area which demands attention and there are more options available to an installer than simply changing the sub, wiring or amplifier. A bass restoration processor is the perfect companion piece for anyone looking to bring out the definition and power in the lower frequencies of their music. Generally speaking, BRPs are bass boosters with a built-in EQ to adjust various parameters, including the centre frequency that the effect is boosting, the total width of the boost and the level of the effect itself. This gives the driver complete control over all aspects of the bass level and can drastically alter the way a piece of music sounds to complement a specific build or piece of music. A BRP ties the entire system together, digitally restoring desired frequencies and powering up low-end reproduction for a better sonic experience. New from Wavtech, the BASSRESTOR is a BRP with a difference: offering a host of adjustable parameters, convenience features, and incredible build quality for a comprehensive way to tune, boost and curate your system’s bass. It provides full adjustment over all parameters of the bass restoration process as well as a subsonic filter. Unlike traditional equalisation, this provides tuning flexibility for how bass restoration is dynamically applied to music content as well as for differences between vehicles and subwoofer systems. In most applications, the interface itself is likely to be out of reach for the driver. The bassRESTOR comes complete with a remote control which can fitted inside the vehicle cockpit for detailed adjustment on the fly. The control features a twin-stacked pot for changing the total output level of the interface (inner ring) and bass effect level (outer ring), with a button press to turn the effect on or off entirely. 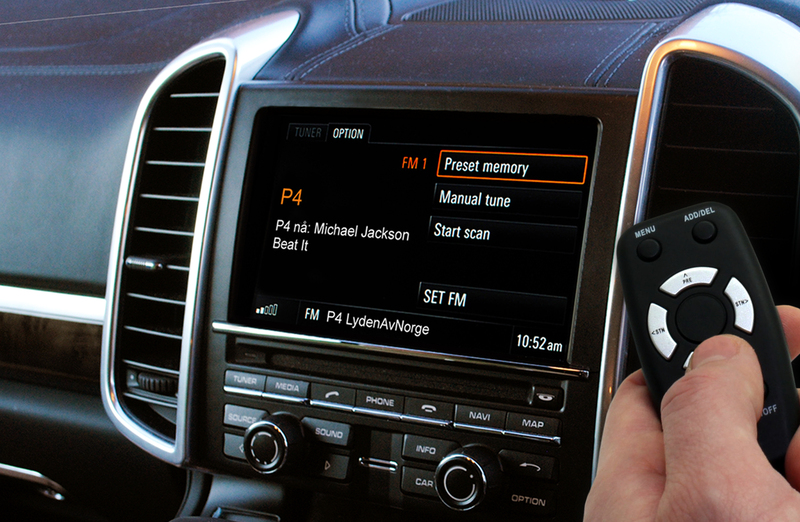 To protect your vehicle’s system and ensure that no unwanted clipping or distortion occurs, the interface features a clip LED, gain control and effect level control which can be set to match the source and amplifier’s input levels with the bassRESTOR’s output level. The ‘Subsonic’ knob can be used to adjust the subsonic filter cut-off point, dialling out unwanted ultra-low frequencies and protecting subwoofers from damage through over-excursion.